Peace, Rest, Grace to all you Sweet Mamas! Exercising beauty--a woman's civilizing honor! Scripture is very vague on so many subjects that often we want to fill in with human thoughts and rules. I so appreciated the wonderful comments and thoughts and ideas I saw come across my blog, facebook and to my email yesterday. 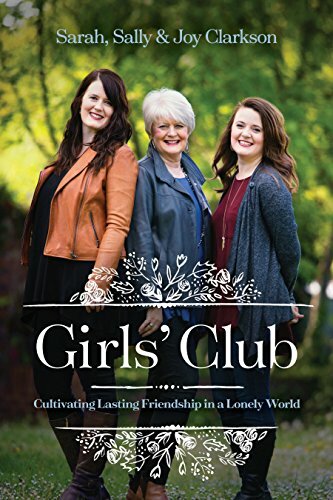 And yet, we are called to glorify God in this role of motherhood by living by faith, seeking Him for wisdom, and then exercising the glory of our motherhood by creating life-giving ways in our home within the unique personality details of our own story. And of course, you will become wiser every year that you walk this road with God and His grace will follow you as you follow Him. So, do not worry, those of you who wondered if you have ruined your children. Don't all mothers wonder that? God's grace and life follow those who seek after Him and who seek Biblical wisdom, the counsel of those whose lives have produced mature fruit and who live in prayerful faith. As I have said many times, a wise woman copies wise women. Though I have read BabyWise and am familiar with Growing Kids God's Ways, I was not specifically just addressing these as a curriculum. There are many formulaic approaches. And there is much wisdom to be gleaned from reading different books and ways. Ours is to become discerning in what we read with a grid through which we see life, that is based on the counsel of scripture and the counsel of wisdom. But I was also addressing some of the underlying philosophical issues that have crept into our lifestyle choices that seek to make the task of mothering children pragmatic and utilitarian, instead of what is really needed to infuse children with the life and love of God. With the onslaught of the internet and television and lack of training of the character of sweet mamas, there are many ways and temptations to put our babies aside and to neglect their very basic needs--to be held, loved and cherished and attended to, so that they can grow into strong, healthy adults. The distraction of the internet, television, cell phones, and drive for women to find distraction and companionship on the internet has diminished, as well as feminism, has diminished the incredible role that mothers were created by God to perform. And so, I seek not to create rules of definition, so much what or who you should follow--but to call you to the age-old boundaries that were set up for the physical and psychological development of children. So there will never be a formula of how long to nurse, when to discipline, when to encourage babies to sleep, on my blog, as each child is different. I do think that having rhythms and boundaries as a goal to bring order to a home must be a part of a wise mom's planning--but there is great room for freedom, if living within wisdom's ways. Sarah was almost a perfect baby. Almost never cried, learned to go to sleep easily. (I am a believer in training my babes to blankies and other cuddlies that signified to them comfort.--more on that another day.) But I thought I was a great parent because she was so content. Eventually after I got over the initial dismay of having a baby and having mild breast infections and the flu and all the interesting stuff that happens to your body in child birth. But because I had the flu when she was born and my milk did not come in well and I wanted to nurse her, I fed her on demand so that my supply would grow strong and would be sufficient. But my desire to nurse her far outweighed my desire for sleep as I wanted to have this experience and it was so precious. And I know several moms suggested that the exhaustion at the beginning of having a baby is overwhelming. I feel like most mamas with littles are often exhausted--for years on end, amidst the stomach flu, ear infections, disrupted schedules, teething, nursing, seasons of fear in baby's lives, bedtime routine and more. However, I learned that my capacity to be strong and to mount up over exhaustion was built into my body and was something that I would learn to overcome with a will to overcome, as I had no outside help. My point is that some challenging seasons and exhaustions and illnesses are just life and will be lived through, with patience. I think if we had grandmas, aunts, friends surrounded us in our communities as of old, we would not have to be so exhausted and do it alone. Joel was a real number. Had him in Austria. He would only nurse for about 2 or 3 minutes at a time and was a large baby, and then he would sort of grunt and make weird noises with his throat and wouldn't, couldn't eat. The Austrian nurse suggested he might have a brain injury--so that kept me busy praying for a while. The funny things people say to us when we have our babies! But because he would never nurse much, I had to feed him more often. But he was also an easy-going baby. Just very physically and behaviorally different from Sarah. Nathan never settled or rarely did. He arched his back and cried a lot. 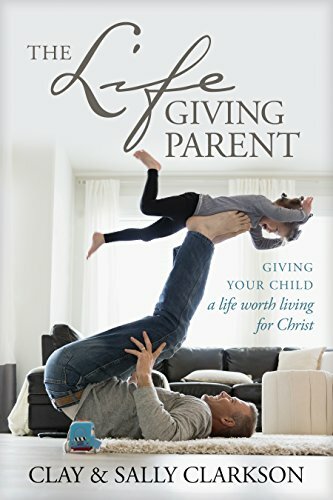 No method worked with him, but I kept praying, touching, loving him and since I had two other young children, he still had to fit into our lives and I obviously needed to attend to my other very young children. But I carried him a lot, rubbed his little back, and tried to calm him as best I could in the midst of Clay working 70 hours a week and me having no help and two other little children that had ear infections and clinical asthma, a lot! But I always pursued touch, love, gentle responsiveness with all of them while having less time to be neurotically idealistic as I was at first with Sarah. Nathan did not sleep through the night until he was four. I kept loving and cuddling him and seeking wisdom with all the kids in the midst and just felt that his issues were not discipline issues as others had suggested. But since I had two other children within more of a normal range of comforting, nursing, quieting, I had a suspicion that something was internally wrong with Nate, so I refused to spank him for something that seemed beyond his control, though he did cry often and sometimes would lay on the floor and scream and kick. He ended up he did have a digestive issue that I discovered when he was 4. I was so grateful that God led me, in spite of the more demanding attitudes of others that I was going to ruin him, to be consistent as possible, to gently lead and train him, and to seek to be patient in the midst of a very challenging baby and child. God used this season to stretch my faith and my dependence on Him. He trusted me with Nathan as a very challenging child to teach me compassion, patience, faith and love, and to be able to encourage other sweet mamas who were trying to figure it out. This is where some of our convictions came from as we were living amongst so many strict disciplinarians who said we were going to "ruin" our children. And Clay and I just kept seeking to be consistent in loving, holding, affirming and training all of our children to maturity--little by little. 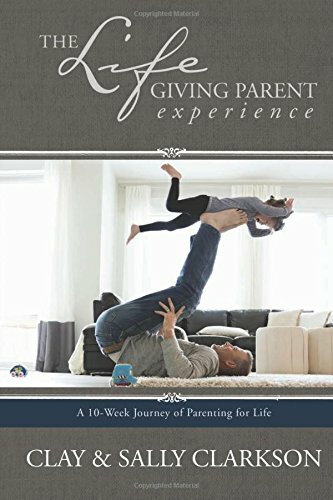 And of course this is when we began the convictions that are held in Heartfelt Discipline because we saw so many parents following arbitrary formulas regardless of the child or personality or gender or maturity level. We just did not believe that one size fits all and now we had seen that it would never work with the children with which we had been entrusted. Then Joy came, and I almost had to fight to hold her because always one of the kids wanted to hold her, rock her, sing to her, play with her. And she was very easily incorporated into our busy lives. But I nursed her until she was 27 months because our established alone time was an anchor to her life amidst others who were so involved. So each child needed something different and had different rhythms. Even extroverted children behave differently than introverted babies. They are more active, require more stimulation, and more settling, by God's design. There just is not one formula that fits all. Yet, in the end, we must seek to find the combination of habits, rhythms in our lives that will honor the validation of children that God has granted us, with His spirit to shape. There is no formula or one right way, but there are wise ways and life-giving heart attitudes that will pour into the very core of our babies. My desire, whatever "systems" you adopt, is to elevate the loving and cherishing of the babies that God gives us as gifts--those whose souls and the implications of their souls will last through all eternity. Our children's lives will effect generations and the way we invite them into our home and into our lives will determine much of the way they feel about their lives. But God has asked us all to live by faith within the limitations and blessings of our own personality, the personality of each child, our own story. We are given a mandate in Genesis 1, right at the inception of the creation of woman, to subdue our lives--to rule over and bring order to our world--including that of our babies. And so the ruling over our babies and children and family must come from wisdom--from the very nurturing potential that God designed into our DNA--our hormones, our brains, our souls and the modeling of other wiser and experienced women as seen in Titus 2. Eve was called the mother of all the living. When a woman acts upon her life-giving instincts and uses her creativity to exercise wisdom, it is a glory to her name and story. And so we want to choose life-giving commitments that bring about beauty, civilization, love, excellence into our children's beings. My desire was to stir up within women the value and sweetness of babies--to treasure them, to hold and kiss them and sing sweet lullabies. The sadness of mama-hood is that children have been devalued in our culture and so many philosophies have sought to help mamas manage, make their children less of a burden and more convenient. Is having a child or committing to any important relationship ever convenient? It was not convenient for Jesus to pick, train, love and serve his disciples and then to die for them. Love has a cost. But because the stakes are great when it comes to loving and shaping the next generation, the hard work and investment reaps eternal rewards that justified all of the cost. Too many words--perhaps, but wanted all of you mamas to know that He is with you in your home, He loves you and does not require you to please other's standards, but to live in the freedom of you home with Him infusing your ways with wisdom and life as you go. Our God loves to redeem and bless all who look to Him. Newer PostMentoring Monday! Serving Children to Teach Them to Serve! Older PostPick up your baby! Do to them what you would have done to you!